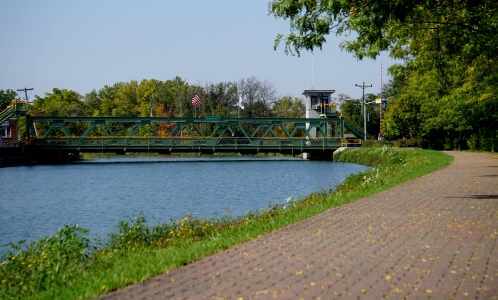 The Erie Canalway Trail is an incredible ride that can span the entire state of New York, from Buffalo to Albany. 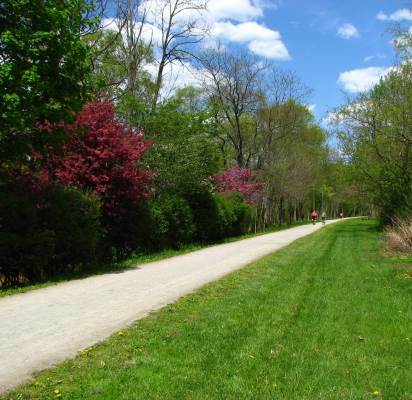 Our tours focus on the longest contiguous section of this trail system, the western portion from Lockport to Newark. 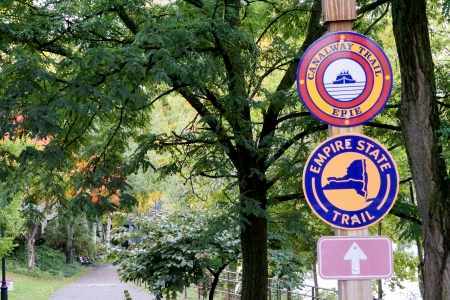 New York State is committed to completed the Empire State Trail – which utilizes all 400-miles of the Erie Canalway – by 2020; in the meantime you can ride and enjoy one of the oldest and most scenic portions of this ambitious trail system. 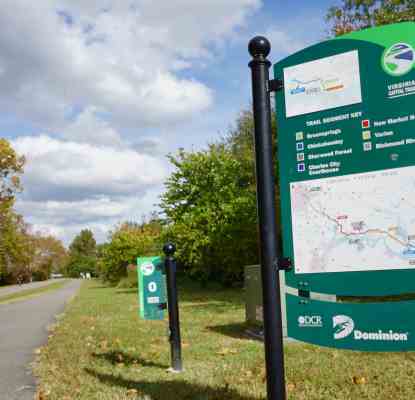 The flat, crushed gravel canalway trail can be ridden by cyclists of all abilities and is perfect for a truly relaxing and enjoyable multiday self-guided bike tour experience. Book Now Questions? Call Us! We offer 2 itineraries for this trip – please scroll to the end to review both itineraries. You’ll meet your shuttle in Lockport and drive a few hours to Newark, NY., the easternmost portion of our ride and the start of your Day 1. On Day 1, you’ll enjoy the wooded areas from Newark to Palmyra. 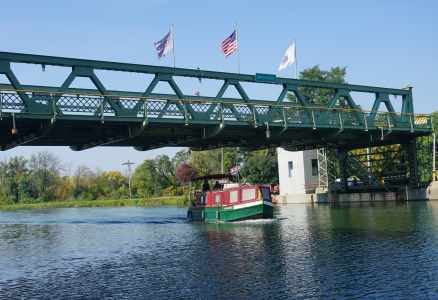 Passing through the canal town of Fairport you may want to stop for a late lunch or early snack. You’ll end the day in Pittsford and enjoy dinner in town before retiring to your B&B for the night. After a full breakfast at the B&B, return to the canal and pedal through more small canal towns. You’ll see how so many of these canal towns earn the “port” names as you pass by the lift bridges. If the timing is right, you may even see the bridges lift as canal boats make their way along water beside you. Tonight you’ll bike into Brockport to enjoy dinner and relax for the evening. Today is a leisurely ride to the historic town of Medina, Ny. Take the time to enjoy this somewhat more secluded portion of trail with many stops for photos and benches to rest the legs (or backside). As with so many of the towns you’ll see, Medina began as the Erie Canal was constructed, then prospered as the canal and later railroads passed through this area. The Main Street retains its historic character and preservation efforts can be seen throughout town. Your hotel tonight is part of that historic restoration and shares space with a cafe and meadery. Have breakfast at the cafe attached to your hotel (breakfast is included) then begin your last ride day on the canalway. You’ll arrive back in Lockport with plenty of time to see the impressive set of locks and perhaps even take an historic canal boat ride. If you’d like to extend your trip, the trail continues past Lockport (after biking a few blocks through town) and continues into Buffalo. We’re happy to suggest itineraries for Buffalo and the area – including Niagara Falls. On Day 1, you’ll enjoy the wooded areas from Newark to Palmyra. You’ll spend the night in the canal town of Fairport. Enjoy dinner in town before retiring to your B&B for the night. For Day 2, return to the canal and pedal through more small canal towns. You’ll see how so many of these canal towns earn the “port” names as you pass by the lift bridges. If the timing is right, you may even see the bridges lift as canal boats make their way along water beside you. As you bike past Brockport, you may want to stop for dinner, or continue on to your final destination – Holley, Ny. – and enjoy dinner and your B&B in town. After a full breakfast at the B&B, return to the canal for another day of relaxed biking. Enjoy this more secluded portion of trail and end the day in Medina, Ny. As with so many of the towns you’ll see, Medina began as the Erie Canal was constructed, then prospered as the canal and later railroads passed through this area. Your hotel tonight is part of the historic restoration of the town and shares space with a cafe and meadery. Have breakfast at the cafe attached to your hotel (breakfast is included) then off to your last ride day on the canalway. You’ll arrive back in Lockport with plenty of time to see the impressive set of locks and perhaps even take an historic canal boat ride. We would be happy to recommend hotels near the trail in Lockport and Buffalo, just ask! This price includes a one-way shuttle between Lockport and Newark/Palmyra. •Solo riders and groups of 5 or more, please ask for custom pricing. This trip includes lodging for 3 nights and 3 breakfasts. For non-included meals we provide daily suggestions and will consider your dietary requests, making special arrangements as needed. Please be aware that some restaurants close one day a week, and often that will be on a Sunday or Monday, depending on the town. Our Erie Canalway bike trips utilize the best in local B&Bs to ensure a comfortable and unique stay each night. Lodgings in most towns DO require a short on-road ride. There are a very limited number of single rooms, as well as suites, along the trail. If you require either room set up please let us know at the time of your quote request. We do our best to advise of vegetarian and vegan options for dining along both trails. Those with significant dietary restrictions, please also advise us AT THE START OF YOUR QUOTE PROCESS so that we can discuss your itinerary options. Food is important! 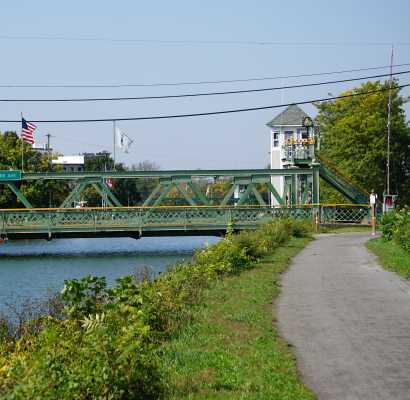 Erie Canalway Trail tours are offered between May and October. This schedule is dictated by weather and trail conditions. The summer months are ideal for riders who love the long days, sunny and dry weather. Portions of the trail are not shaded, so do plan to bring sunscreen and appropriate clothing. September and October offer cooler temperatures; fall foliage occurs generally in early- to mid-October, although exact dates do vary each year. Our Erie Canalway Trips will start and end in Lockport. Riders can take advantage of the continued canalway trail westward from Lockport to Tonawanda and then to Buffalo. We can provide recommendations if you would like to extend your trip. Parking is available in the Erie Canal Discovery Center in Lockport. The Erie Canalway Trail is a crushed gravel rail trail surface with a grade of less than 1%. The trail is well-maintained and there are restrooms at several trailheads along the way. Towns are frequent along the trail. Cell and wifi service is strong along the trail, and there are a good variety of food options for all diets. WHAT IS THE BEST BIKE FOR THE ERIE CANALWAY TRAIL? The best bike for this trail is a hybrid-style bike. Road bikes and bikes with thinner tires can be appropriate in most conditions (in excessively wet weather, wider tires are recommended). Bike rental is not currently offered on this trip. If you can box and rebuild your bike on your own, and if you have good bike cases for shipping, BikeFlights.com or another shipping method can be much cheaper than renting a bike. If you need help boxing and rebuilding a shipped bike, we can direct you to bike shops along the trails which can assist you for a fee (usually $40-75/bikes). A one-way shuttle from Lockport to Newark is included in all trip prices. The drive time is approximately 2 hours barring unusual traffic. The shuttle is offered at the start of your Day 1 from Lockport to Newark. If you prefer to shorten your Day 1 mileage, the shuttle can also drop you off in Palmyra, Ny. Daily luggage shuttling is not currently offered on this trip. I can’t recommend this company enough. This was my second year using them. The first year I got injured on the trail, and they saved the day getting me a shuttle out and cancelling all the subsequent reservations that could be cancelled. This year, there was lots of flooding and diversions that needed to be taken and they kept in constant contact with what my options were. With Noble Invention they took the stress out of the trip by taking care of all the logistics necessary to make a five day trek across two states possible. All reservations were handled with B&Bs along the way, our bags were shuttled and always waiting at our next stop, our shuttle back to Pittsburgh was courteous and professional; not a hiccup to be found in the entire trip! Kelley was professional throughout the booking process answering any questions and catering the trip to our needs as best as possible. I will definitely use them for my next bike trip on any route they serve. The service that Ann and Sara provided was top shelf. They found wonderful B&B’s for us to stay at, and they were really concerned that we had a good riding experience. And we met plenty of new people that we really enjoyed.